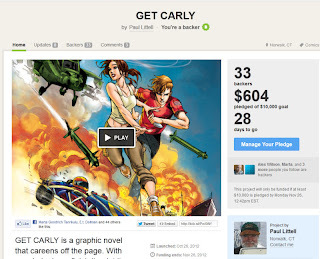 Creators Workshop member Paul Littell has launched a Kickstarter campaign for his comic project Get Carly. The script was workshopped on the Creators Workshop, and Paul even kindly mentions the role of Comics Experience in his Kickstarter description. 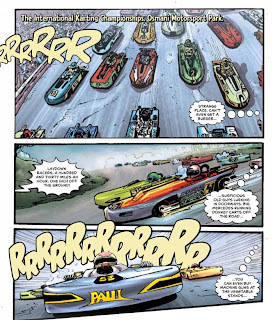 The story is an action-thriller about Marco, a shy techie-type, who finds himself racing across Kosovo in a laydown racer to save a beautiful woman. 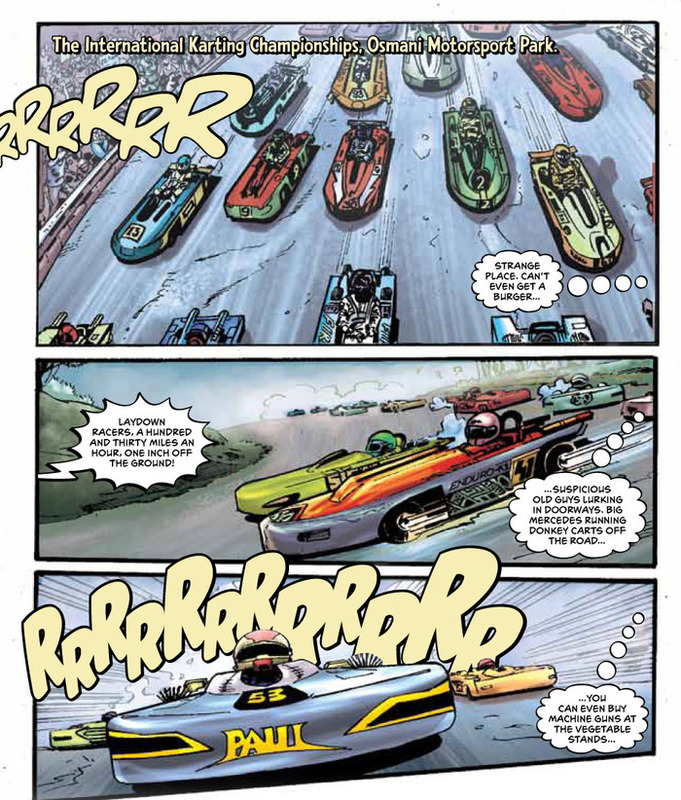 Paul's Kickstarter is to produce a 110-page graphic novel, and, if stretch goals are reached, can be given additional life with animatics/motion comics as well. As of this writing, only two days into the campaign, the Kickstarter has already garnered more than 30 backers toward its overall $10,000 goal. In addition to the book itself in print and digital form, those pledging can receive other incentives including special character profiles and sketches, color prints, slipcase editions, ring tones, a Get Carly peace belt, or even be drawn into a group portrait with the cast! With more than twenty-five days left as of today, there's still plenty of time to jump on this Kickstarter! Best of luck to Paul with the Kickstarter! The reason for this is that my grandfather passed away. I decided to finally reach out because, quite frankly I don't like how volleyball shirts I'm handling this. II Think I Am Pushing girl power shirt My Fiancee Away By Daniel J. An ad by Hillary Clinton during the presidential campaign attacked Trump for outsourcing manufacturing to 12 different countries. An investigation by The Washington Post confirmed that. Import records revealed that Trump shirts, suits, sports coats, eyeglasses, home goods such as furniture, lighting fixtures and mirrors and hotel amenities including shampoo, towels and laundry bags were all made abroad.